Installation starts with shimming the wall plumb. 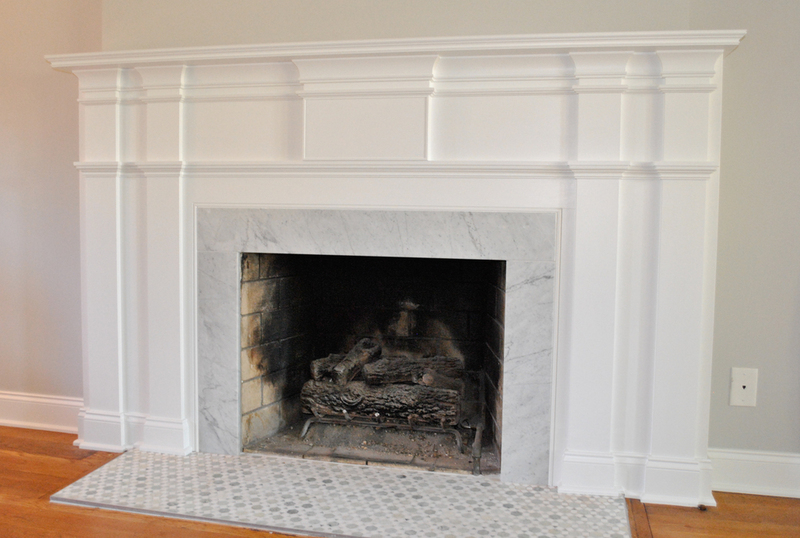 All moldings (except crown, baseboard, and shoe mold) were custom made. Crown, base, and shoe moldings installed. BEFORE. 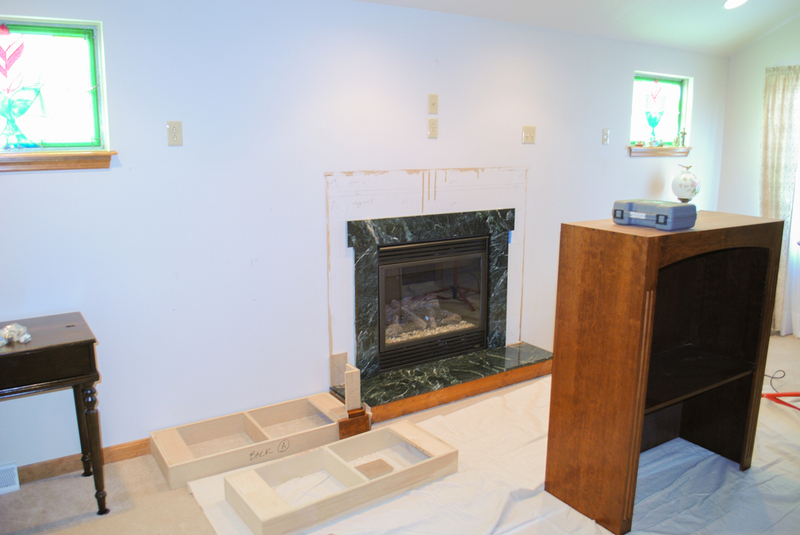 The existing bookcases and surround were removed and redesigned. Multiple moldings were custom milled for this project. We made the bookcases using cherry veneer plywood. Face frames, doors, and moldings are made in solid cherry. Installing the base layer. The tile and brick work was performed by others.